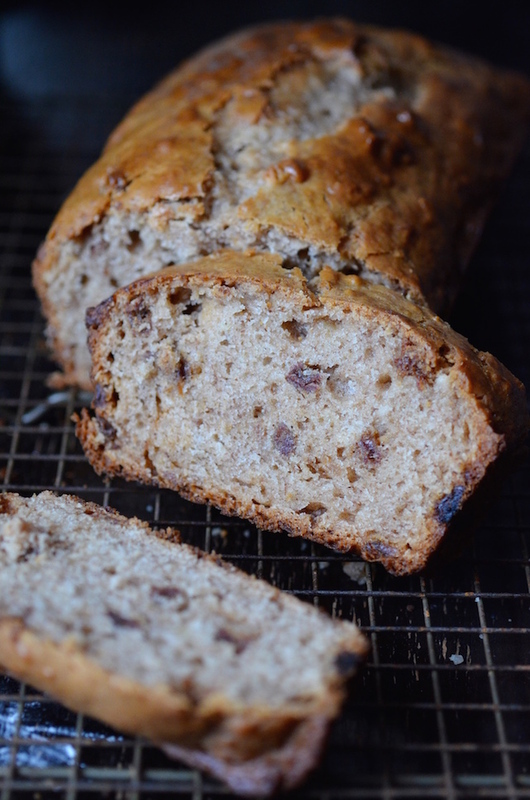 This simple Vegan Chocolate Chip Banana Bread recipe is a variation of my Vegan Double Chocolate Banana Bread, which is full-on chocolate throughout. This one is for those days when you want a bit more banana flavor, with a hint of chocolate. And you definitely do NOT have to be vegan to enjoy this recipe. I love vegan recipes because they're the perfect solution when you want to bake, but suddenly realize you're out of eggs or butter or milk (or all of the above because it's raining and cold and you don't want to put on pants to go to the store). 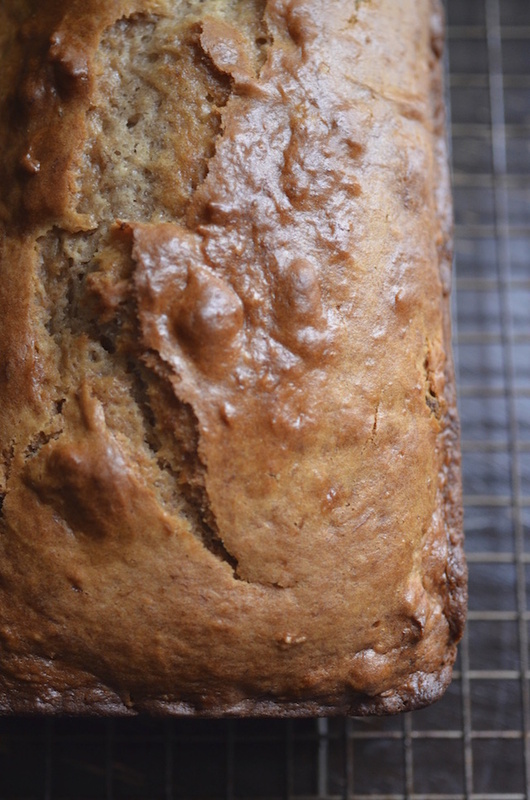 This banana bread recipe is super flexible, too! Choose any kind of oil you'd like, and any kind of dairy milk. You can substitute regular granulated sugar for the brown, or even use something like coconut palm sugar. The tiny bit of acid (to help with the rising) can be swapped for lemon juice or any kind of plain vinegar (apple cider, white, wine, etc.). No balsamic though, please. That would be weird. I think 1 1/4 cups is the perfect amount of chocolate chips for an even distribution, but feel free to pump that amount up if you'd like. Preheat oven to 350 degrees F. Grease a 9x5” nonstick loaf pan with baking spray or vegetable oil, and set aside. In a large bowl, beat together bananas, oil, sugar, vanilla, milk, and lemon juice until smooth. In a separate bowl, whisk together flour, baking powder, baking soda, and salt. Add the dry ingredients to the wet and mix until smooth. Fold in chocolate chips, then pour into prepared pan. Bake about 45 to 55 minutes, or until cake has risen and is slightly cracked, and a toothpick comes out clean. Let cool in pan 10 minutes, then run a knife around the edges to loosen and remove from pan. Transfer to a rack to cool completely.